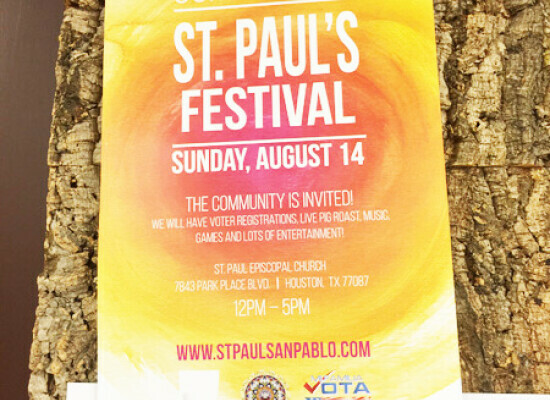 In an effort to flourish within the GulfGate community of Houston and to encourage residents to be more civically involved, St. Paul’s/San Pablo, Houston held its first St. Paul’s Festival, August 14, opening its doors to the community and giving them an opportunity to register to vote. Threatened by heavy rain just a few hours before the event, the Rev. Ed Gomez said, “He led by faith and not science,” opting to proceed with the event he and parishioners had been preparing for several months. Present at the festival was Mi Familia Vota, a non-profit organization that works to increase civic participation and unite the Latino community and its allies to promote social and economic justice. They were there to register eligible citizens to vote and also to answer questions about the voting process. 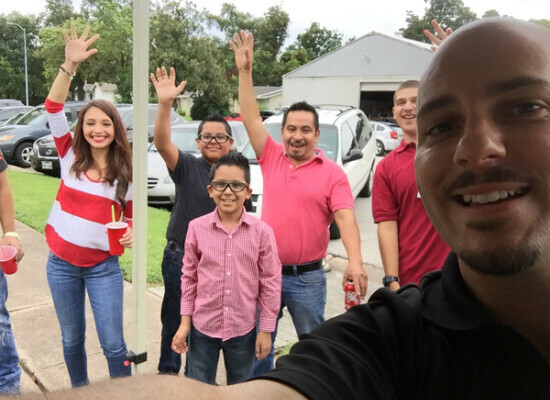 A radio remote from Latino Mix 104.9 FM was also present, giving a shout out to residents all over Houston inviting them to the event. “This community has come a long way in a short while in trying to build itself up,” Gomez said, adding that the voter’s registration would help Latinos have their voices heard. 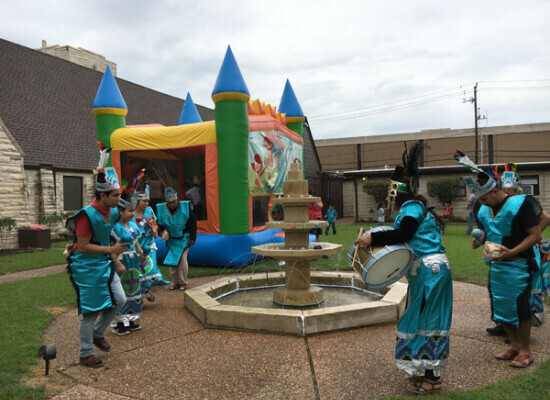 The Festival celebrated the feast day of the Virgin Mary and gave parishioners the opportunity to learn more about the different ministries St. Paul’s has to offer and to sign up for religious education classes. 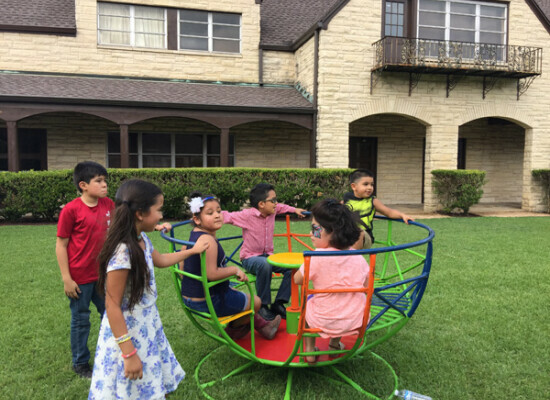 New ministries include English as a second language, health and exercise and enhanced education programs like Godly Play, an experiential learning for preschoolers. Preparing for the Festival required physical work to spruce up the entire campus. Parishioners dedicated many hours of free time to make sure San Pablo was ready to welcome visitors and neighbors. 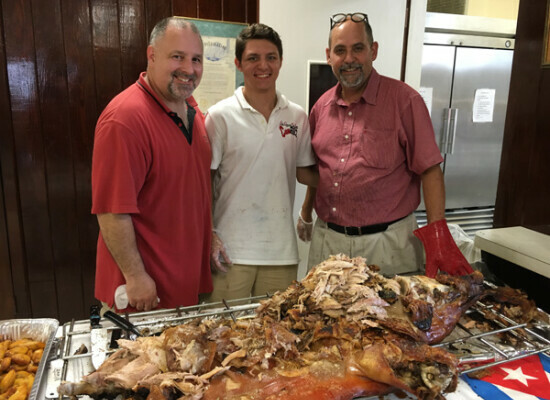 Cooks worked hours to prepare special fare for the more than 300 people who attended, including roasting two whole pigs. “We had to clean the floors, clear out things and work over the last two and a half months. We couldn’t have done it without everyone’s help,” Gomez said. Martha Ruiz, a member at St. Paul’s is one of many who helped clean up the church campus. 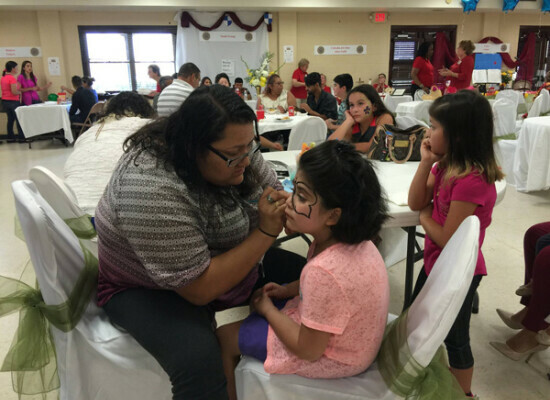 Like Ruiz, many parishioners wanted strangers to have a good first impression of the church. But the work didn’t end at the Festival. With the upcoming election just a couple of months away, lay leaders at St. Paul’s have a mission to reopen St. Paul’s as a voting location for the neighborhood. 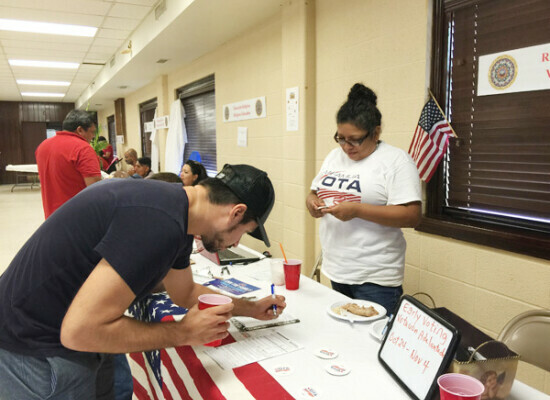 Gomez, who is civically minded, partnered with Mi Familia Vota to train lay leaders to register eligible members of their community to vote. Maria Villenas, Civic Engagement Lead from Mi Familia Vota was pleasantly surprised to discover many people present have the upcoming election as a priority. “I found out a lot of them are following the news and they are doing research on the issues that are important to them. Most of them already know about voting and knew where to go vote,” Villenas said. “There’s a lot of potential. I thought we were just going to rest after the festival, but we are just getting started,” Gomez said.